TCS board on June 15 had announced a Rs16,000 crore buyback. The company announced that it will buyback 7.62 crore shares, or 1.99% of its equity, through a tender offer at a price of Rs2,100 per share. TCS is buying back the shares at a premium of 14% to the current price of Rs1,852 (as on June 26, 2018) per share. As per SEBI regulations, 15% of the offer size i.e. Rs2,400 crore will be reserved for small shareholders holding shares up to a value of Rs2 lakh as on the record date and the acceptance ratio for this category of investors normally works out higher. The acceptance ratio also plays a crucial role. The acceptance ratio indicates how many shares the company will be able to accept in a buyback offer for every 100 shares tendered by shareholders. 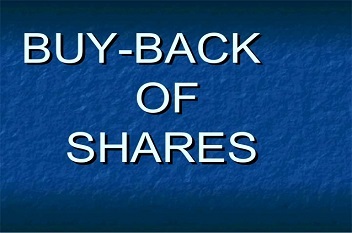 Simply put, it is the number of shares offered for buyback / total number of outstanding shares. Whatever the ratio, it will reduce the effective acquisition price of the holding. The short-term capital gains tax of 15% and transaction cost, will reduce some profit, but, still it will not be a bad deal. And, if there’s a post-buyback slide in prices, the investor could use that as a second entry point. In fact, advance level of derivative strategy is available for HNI investor, but this unique strategy implementation has to be through "Derivative expert" only for their risk management.